Do we really have to teach handwriting? This week my friend and colleague, Melanie Rios (@melmollyrios) and I have been racking our brains for ways to help certain students in Kindergarten to relate meaning and sounds to symbols. We have three particular students who are not moving forward with the rest of their cohort in learning to read and remember their letters and sight words. All three students have different backgrounds and individual differences with their language development and learning styles but the learning characteristic that they have in common is that they cannot retain or even seem to understand that certain symbols represent certain sounds. The only way that we can think of to help them is to have them engage as many senses as possible in the learning process. We have changed the colour of the paper that the words and sounds are written on and we have encouraged them to cut up and reorder their sight words and tried to put them into an order to make sense. In reading lessons we ask them to read print in books as well as what we have written on flash cards, but we are not spending a great deal of time asking them to write their sounds and words over and over again. We have been taught that students should spend reading lessons actually reading as much as possible and that we should aim to increase the volume of what they are reading to improve their fluency and vocabulary which will in turn assist their comprehension skills. Often we have been discouraged from asking the students to write during reading groups but it makes sense that if they write the sounds and sight words that they are learning to read, that they will use different parts of their brain and it may help them to retain the information. Dr Karin James from Indiana University used a scanner to see how handwriting affected activity in the children’s brains. Writing freehand showed increased activity in three areas of the brain whereas typing the letters or even tracing them showed much weaker activation. Dr James actually attributed the variable messiness of the way the children formed the letters to being something that might help them to learn these symbols. She thinks that the deciphering process helps the child understand that the letter is the same despite slight variations. We must be careful if we head towards the paperless classroom that we are still catering for the different learning styles and needs of all our students. 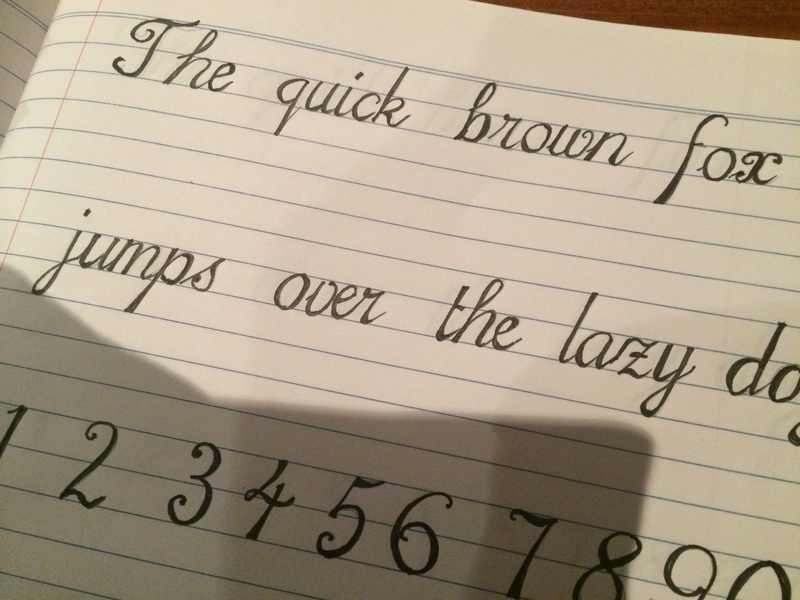 Handwriting is important.